While I don’t consider myself a collector, I have quite a few old chairs scattered throughout the garden. Some are tucked away behind a hedge, others front and center as décor. Some of the chairs in the garden are no longer strong enough to support people but they have earned the right to stay. Birds waiting their turn at the feeder frequently use them as a resting spot. 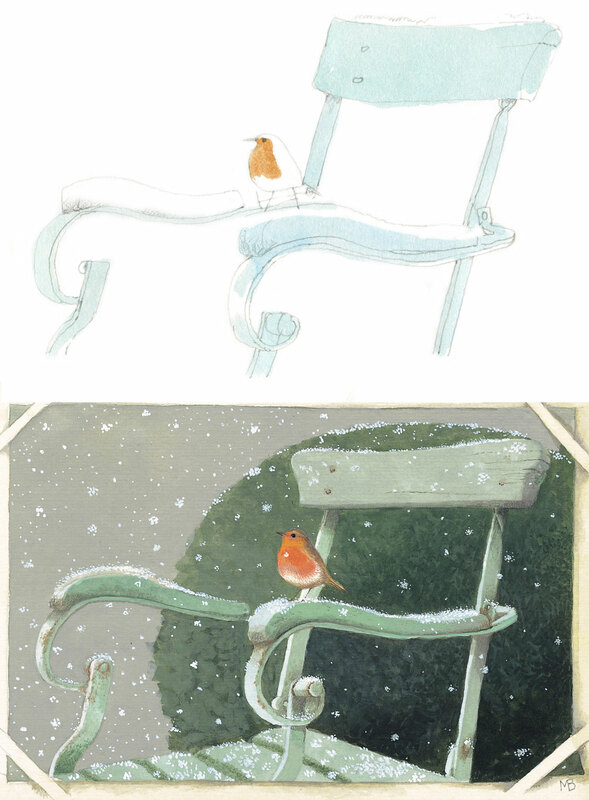 On this cold and snowy day a European Robin sat patiently on the armrest…so beautiful against the dark green background!